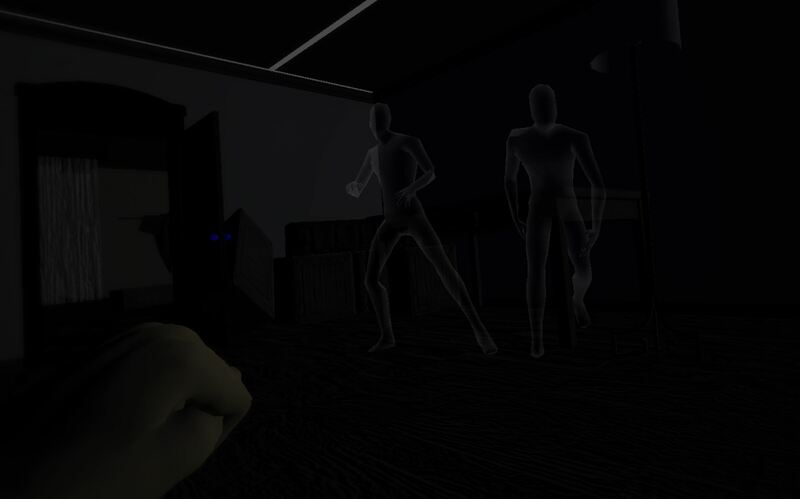 Just One Night is a virtual reality, spatial input horror game. 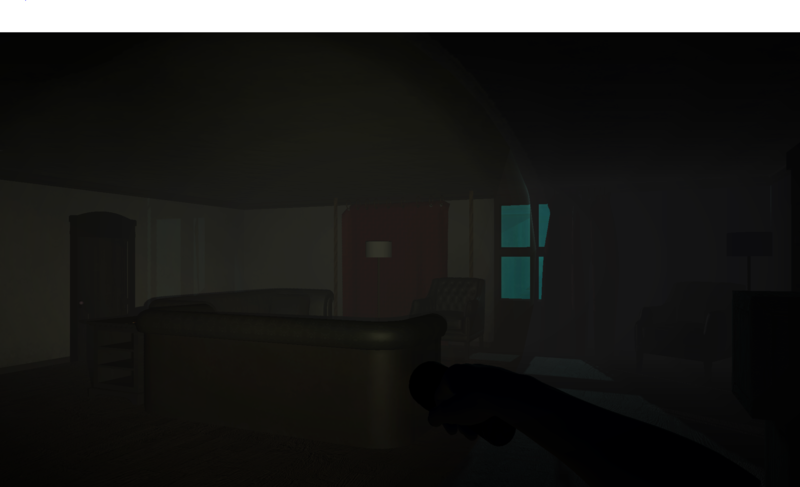 The player is trapped within a two story mansion with only a flashlight to defend themselves against paranormal entities. The player moves through and interacts with the environment using only their actual hands by way of a Leap Motion Controller. The player must find keys in each room of the mansion, while remaining quiet to avoid provoking any malevolent spirits that may be lurking. It started off as a dare. Spend the night at an abandoned house, and you would be considered cool. No big deal. Not the first time you were home in a alone. Using the Leap Motion Controller , the player can move forward/backward/left/right by making a fist with their left hand and moving their fist in the desired direction of movement. In virtual reality, the player can rotate their body right or left by aiming their right fist to the right or left of their body. When not in virtual reality, the player can rotate their body and head left or right by aiming their right hand toward the left or right edges of the screen. The player can pickup keys, unlock doors, pickup batteries and pull curtain ropes by touching them with their left hand. The player's flashlight beam damages the ghosts, but it tends to malfunction. If the flashlight flickers and goes out, the player can hit their left palm against their right fist to repair it. The flashlight might also run out of battery. If it does, the player can look around the room for a battery to pickup. Bumping in to objects or stepping on squeaky floorboards causes noises that summon the evil spirits. The game will requires a Leap Motion Controller. The game may also be played in virtual reality using an Oculus headset and Leap Motion Controller. Being that you need people to use a Leap Motion Controller or Oculus, but you need grades via comments, you're sorta limiting your audience market since not many will have that except for larger Youtubers w/ lots of money to throw around - so, I think one of your bigger options is trying to send a copy to Youtubers you know that have the necessary equipment to review it, bring it to Their attention through emailing them.